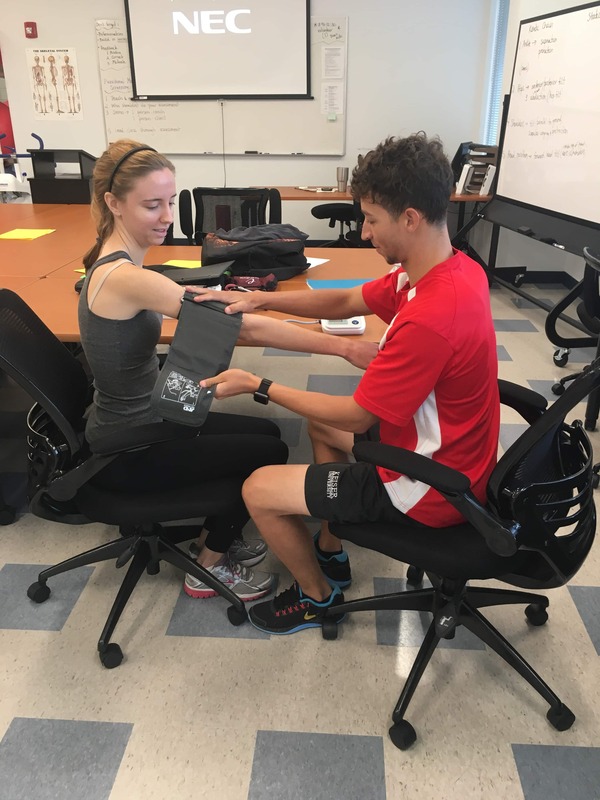 Upper division students in the Sports Medicine & Fitness Technology (SMFT) program at the Melbourne campus are preparing for their ACE Personal Trainer Certification (CPT) exam at the end of this month. 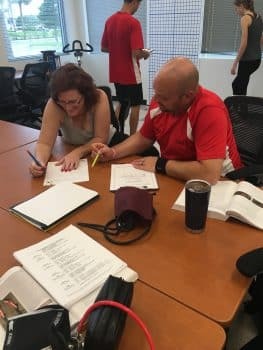 Before coaching a client on the exercise floor, students learned as a personal trainer it’s important to first research if a client has postural imbalances caused by impaired length-tension relationships in the muscles. 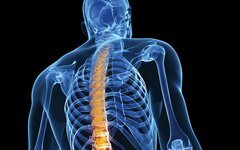 This is important because postural imbalances can lead to improper and unsafe movements for the client during exercise. 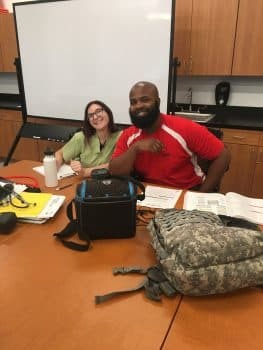 For anyone wanting to start exercising with the help from a personal trainer, it is important to find out if they have the required certification – the CPT. Certification exams set a minimum standard of providing safe and effective instruction, and many people in the health industry call themselves personal trainers or health experts without a formal education or professional certifications. The good news is that KU is an educational partner with two major accrediting organizations, the American Council on Exercise and the National Academy of Sports Medicine. 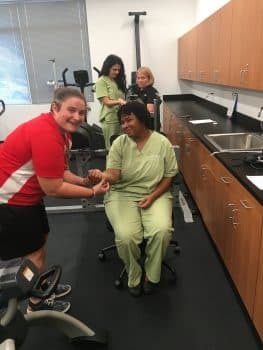 This means that students in the SMFT program can earn their AS or BS in exercise science principles as well as prep and pass industry certifications even before they graduate.